For all students looking to live as international students in a new nation away from India, the United Kingdom (UK) is a fantastic option. Close to Europe and permeated with some of the most historic and best educational systems in the western world, the UK is a great choice for all students looking to expand their education outlook beyond the borders of India and their own home universities. 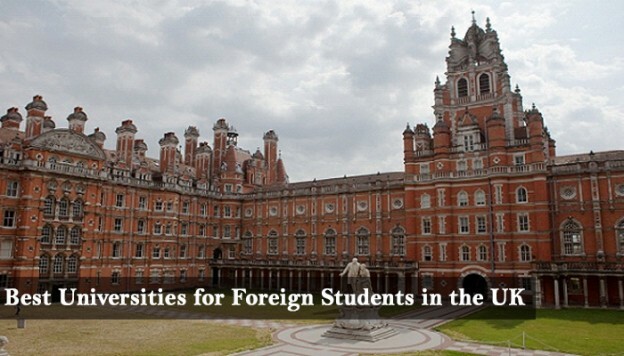 England offers a variety of subjects for students and a variety of timelines during which international students can study. Only want to take the summer back to visit your family and friends? Oftentimes, you can live as an international student and still travel back home to visit family and friends if that suits you’re the best. Other students can study abroad for a full year or even longer so your friends could come and visit you in your new country! Individual agreements exist between some universities on an international scheme so students may be able to find out more from discussing immigration and overseas study plans with their own administrators or university counselors. Overall, however, choosing the UK as the location from which to base your international educational endeavors is a fantastic choice. The entirety of the European continent will be at your doorstep and you can fly over to the US to visit New York for a weekend away! The proximity of the UK to the rest of the world is tremendous, and the open borders model upon which the UK currently exists means you can immigrate to the UK and visit the width and breadth of Europe from your new home. So you think that England sounds like a fantastic place to move as an international student. Next up is the question of where you should be spending your hard-earned pounds. Which university is the best choice in the UK for you to continue pursuing your academic career? International students pay higher fees than residents, so this is worth considering, or wait until you are a resident not just a newly immigrated individual before you attend university. Oxford University is one well-known choice. Perhaps one of the most famous universities in the world, Oxford is sure to provide you with a top-notch education and an unparalleled academic experience during your international student educational time. Cambridge is another equally reputable university choice that will be sure to provide you with an outstanding addition to your resume or CV. Yet there are hundreds of universities in the UK that are not Oxford or Cambridge and which will be sure to provide you with an exemplary education. The University of Southampton is one such option. Make a Choice and Go Have Fun in the UK! Regardless of what university you choose, once you move abroad into the UK, you will be sure to have a tremendous experience. Talking to your own school’s staff and counselors can help you to choose the best university, which may even have existing relationships with your current school. So start researching the immigration process and then go have an adventure in this brand new nation!